When I was in Austin a couple weekends ago, I spent Saturday afternoon shooting my sister’s new jewelry line for her website/online shop! 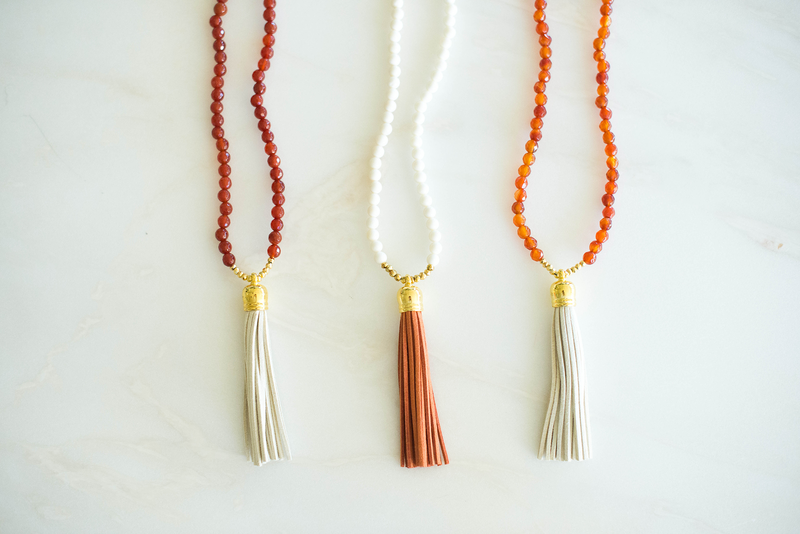 Her collection features a massive selection of leather tassel earrings and necklaces in every color under the sun. Whether you’d like a white pair for your bachelorette weekend, a turquoise pair for a beach getaway, or a black pair for everyday wear, there’s something for everyone! 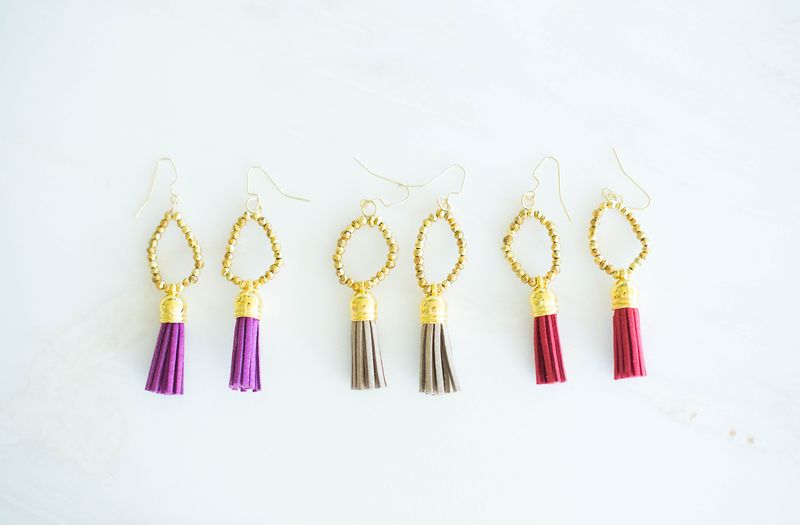 The signature tassel earrings also come in three different sizes: long, medium (new!!) and short. For an idea of what size might look best on you, check out the FAQ’s page! 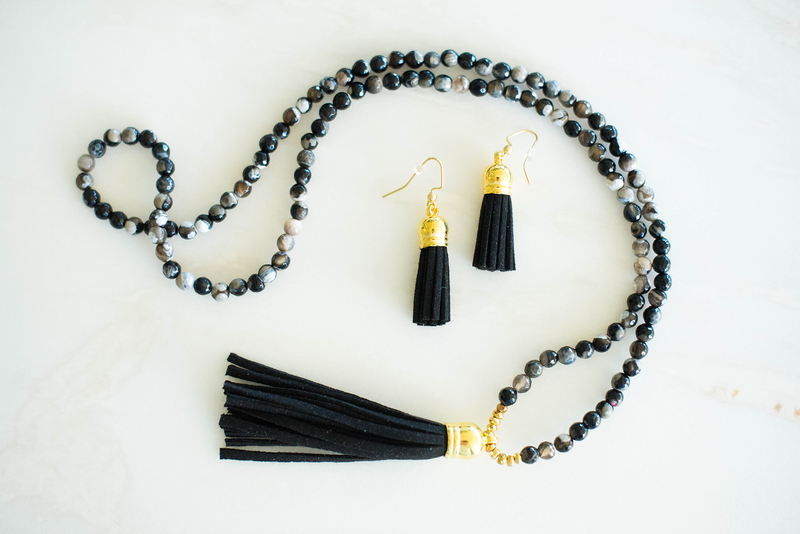 Her pieces also make amazing gifts – they are fun, stylish, and most importantly, won’t break the bank. The earrings are only $40! 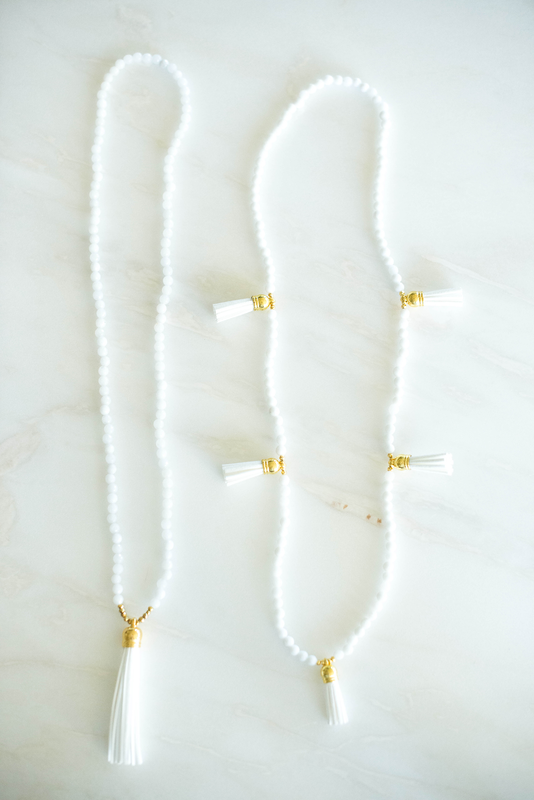 I love the idea of giving them away as a party favor at a bachelorette party, bridal/baby shower, or birthday party. So cute! 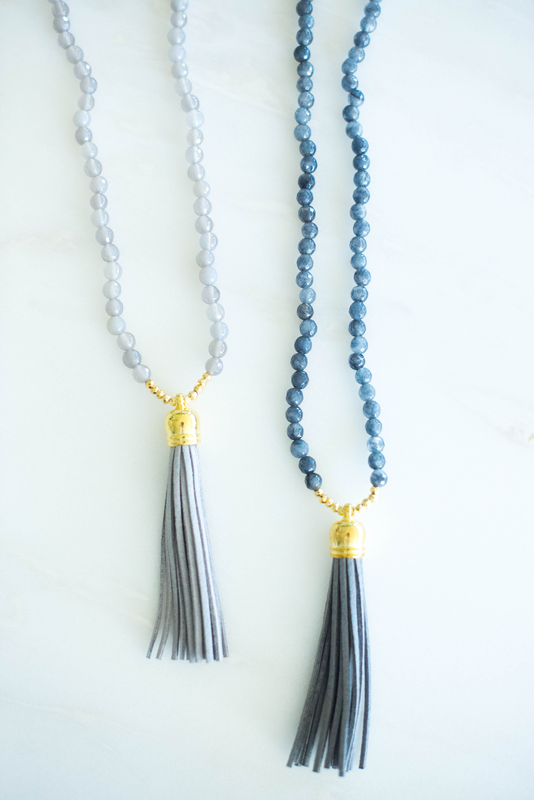 Click here to check out the whole collection and shop Laura Windsor Jewelry! PS – if you pick up a pair, be sure to snap or tweet me a photo (@merrittbeck)! My sister loves seeing them!! 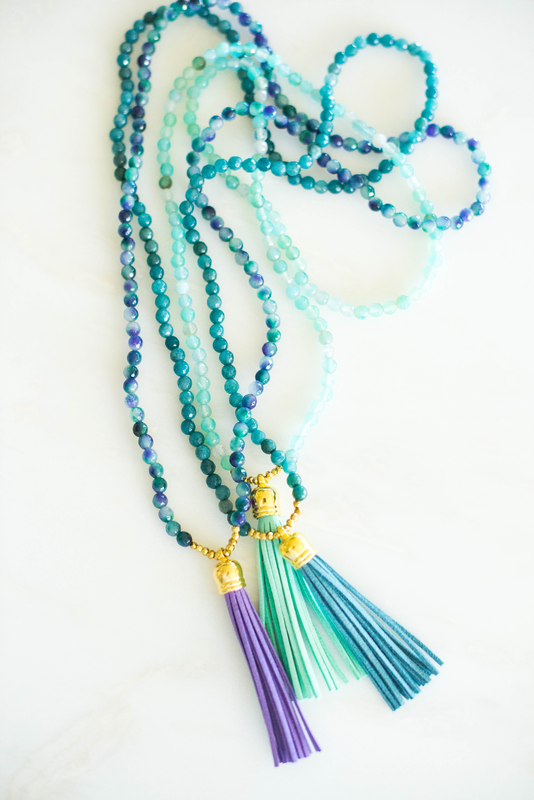 Be sure to also follow Laura Windsor Jewelry on Instagram for the latest styles and colors! So exciting for your sister! Wow, you sisters are so creative. I can’t wait to check out your sister’s jewelry and who knows may even feature it on my blog. Thanks for sharing! Wow they are all gorgeous! 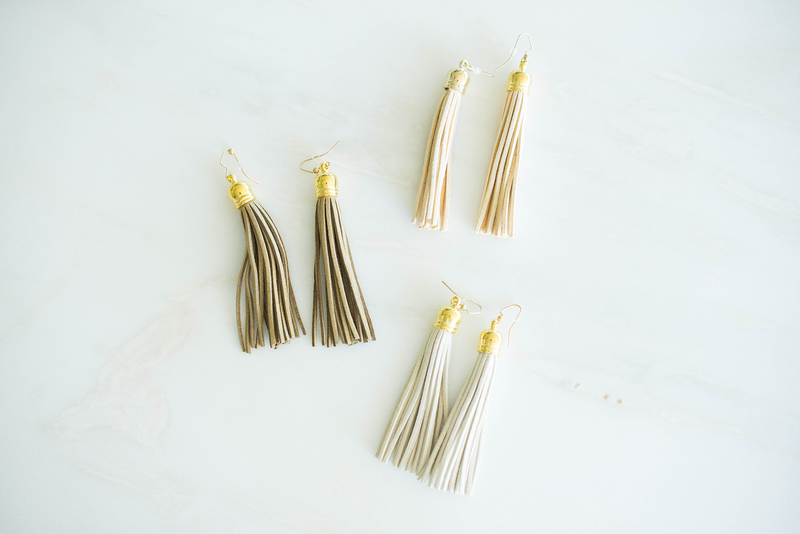 I love tassels! Beautiful pieces and beautiful photos!! Your sister is amazingly talented! 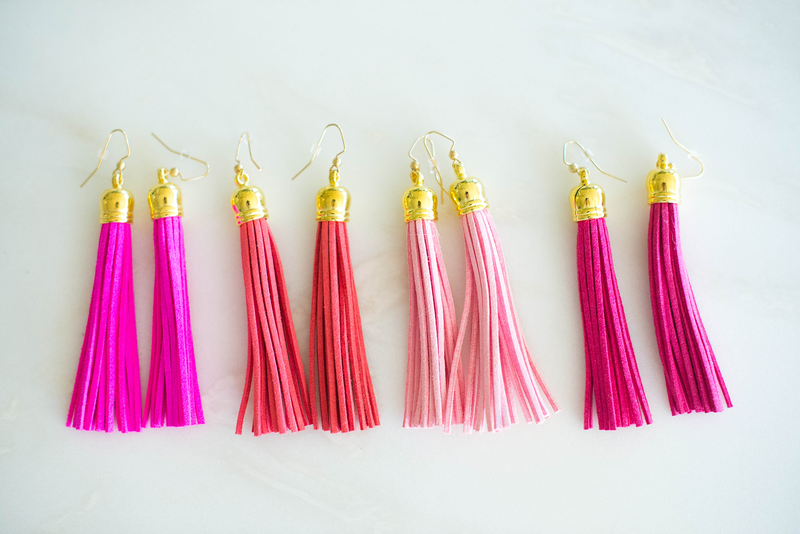 LOVE the pink tassel earrings!! !